At the annual Origami-Palooza, watch origami experts fold paper into seemingly impossible shapes, and enter your creations into the Origami Challenge contest. Anyone and everyone, from young to old, to beginner to experienced, can learn to create amazing things with paper. Plus there’s a paper airplane challenge at 2 pm. Make A Wish, Fold A Crane: Join members of Rainbow World Fund as they gather wishes and cranes for the World Tree of Hope. Named one of the most ‘Beautiful Trees in the World’ by American Express Travel, this famous tree appears during the holidays in San Francisco’s City Hall. Origami In Commercials: Origami pro Linda Mihara takes you behind the scenes of some amazing commercials featuring Origami. 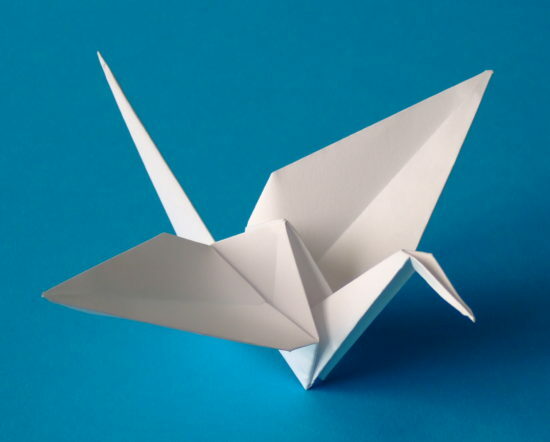 Bring your best work and enter the Origami Challenge. All ages are welcome. Special Masters Division for High Complex Entries, with over $1,000 in ribbons and prizes. Register your model by 3:30 pm. Fold an awesome paper airplane with The Paper Airplane Guy John Collins – the world record holder for paper airplane distance. Fine tune your airplane as he shares his secrets for amazing airplanes. Then get ready for the Paper Airplane contest.